Arguably the nation’s top government watchdog with a track record of exposing numerous cases of federal and state government misconduct, malfeasance, corruption, fraud and other criminal activity, has once again successfully obtained legal documents regarding allegations of President Donald Trump and his campaign and administration’s conspiracy. 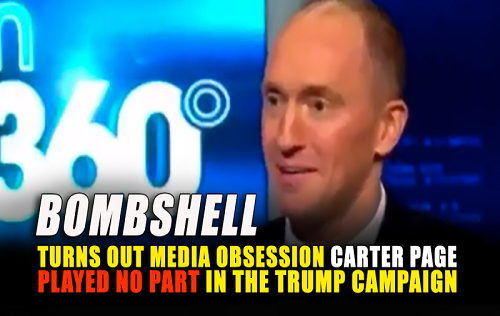 The Justice Department obtained FISA warrants to spy on Carter Page using a bogus political smear dossier. Trump faced the wrath of his presidential opponent Hillary Clinton, and her campaign staff as well as numerous members of the print and broadcast news organizations. Yet, using the Internet and a battery of campaign rallies and events, Trump was able to get his message out to the American people and the more he was denigrated and victimized by a rabid press, the more U.S. citizens dismissed the claims by the Democratic Party and their news media echo chamber. To the shock of the Democrats and the news media, Donald Trump became the nation’s 45th President. These DOJ/FBI documents were due to be turned over to Judicial Watch on Monday but were emailed around 5:30 pm (et) on Saturday. The warrants are suspect of being illicitly obtained because the FISA court judge was never told that very important and persuasive information justifying the requests came from an unsubstantiated and possibly fraudulent “dossier” that was created by Fusion GPS, a paid agent of the Clinton campaign and the Democratic National Committee (DNC). Also missing from the FBI application was the fact that a top Department of Justice attorney, Bruce Orr, is the husband of one of Fusion GPS’s Trump investigators, Nellie Orr. The first Carter Page warrant was granted just weeks before the November 2016 election. Today’s document release supports criticisms by Republicans on the House Intelligence Committee who released a memo that criticized the FISA targeting. The memo details how the “minimally corroborated” Clinton-DNC dossier was an essential part of the FBI and DOJ’s applications for surveillance warrants to spy on Page. In fact, these highly suspicious documents a/k/a the “the dirty dossier” were used four times by the FBI to renew or add on to the warrants. The goal was to listen surreptitiously to Page’s conversations with members of the Trump campaign and any of his contacts with Russian officials or businessmen. The document production is the result of the DOJ’s refusal to turn over documents requested in a Freedom of Information Act (FOIA) request. Failing that process, in a February 2018 Judicial Watch Freedom of Information Act (FOIA) lawsuit filed after the DOJ rejected a July 19, 2017, FOIA request. Judicial Watch attorneys won the lawsuit. In April, the DOJ told the unidentified FISA judge it was “processing for potential redaction and release certain FISA materials related to Carter Page,” and agreed to a production schedule for responsive records to be completed July 20, 2018. Another aspect of what’s in the redacted parts of the FISA applications. There is the strong likelihood that the CIA-DOJ-FBI-Hillary-connected Fusion GPS actually FACILITATED (not just pushed to the media) the fabrication of DNS logs – April Lorenzen akaTea Leaves, as a dirty tricks op against Trump to corroborate their own Dossier’s false allegations about “Alpha” Bank connection to “Trump Organization” server. This is a far greater story than Watergate, it goes deep into the very soul of America. 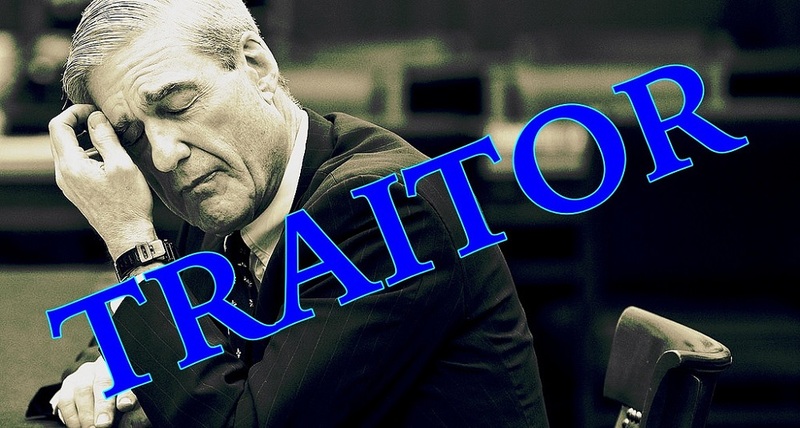 Justice most be done to all involved in the massive power play, THIS is a story that cannot be ignored or hidden away to cover their crimes, they are people both in and out of government and from both political parties. These are people who would rather reign in Hell than serve in Heaven. We live in dangerous times America, thank God for Judicial Watch, Jim Kori and others who are working hard to save what’s left of America. Thank you for your encouraging comments, Rocky.